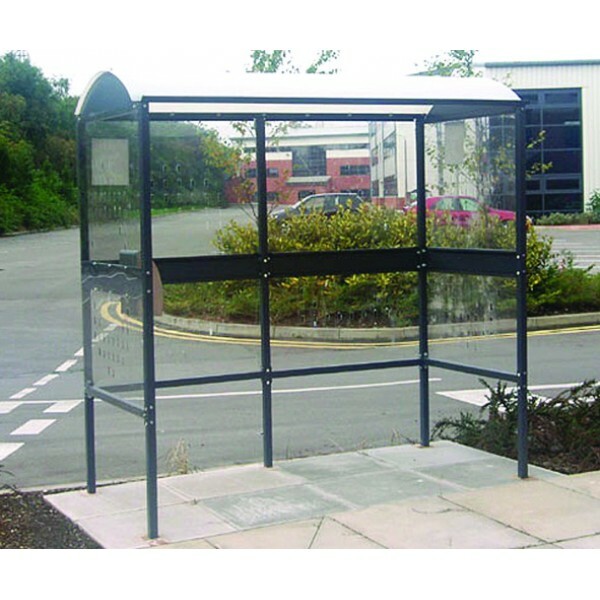 This high quality smoking shelter is suitable for 3 to 4 persons. It features a domed roof formed from 2mm opal polycarbonate and the structure is manufactured from black powder coated steel. The domed roof prevents water pooling and creates an airy aspect which aids rapid smoke dispersal. It also includes a cigarette bin and mounting plate. Supplied flat packed with full assembly instructions and drawings. Complete with self-leveling feet, all fixings, fittings and ground anchors.